A skull vessel to catch your stick incense ashes watched over by a blue metallic dragon. 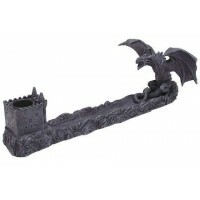 Beautifully detailed and hand painted, this cold cast resin dragon incense burner is 12 1/4 inches long. 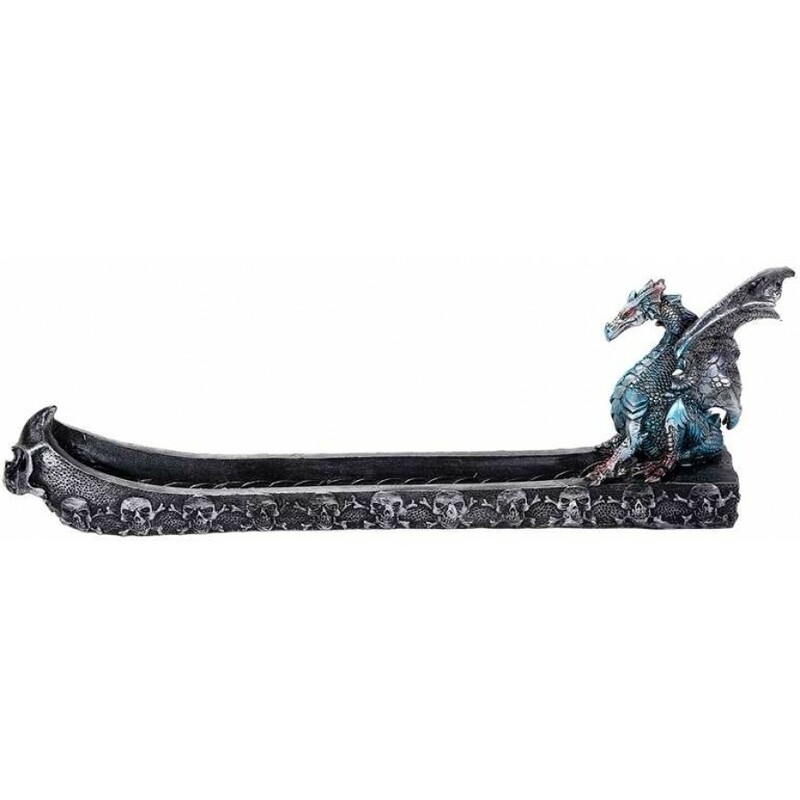 Item Number: PT-12391 | Approximate Size (Inches): 12.25 wide x 2.18 deep x 3.75 high | Approximate Shipping Weight: 1.50 lbs.